Many of us were disappointed when we learned last week that there are not any immediate plans to integrate the X-Men or the Fantastic Four into the Marvel Cinematic Universe (MCU). In an interview with Vulture, Marvel Studios head Kevin Feige stated that it is too soon to stick the newly acquired properties into the MCU and that Marvel Studios is busy with their current slate of heroes. As disappointing as that is, it should not come as a surprise. First of all, despite all the news in December 2017 about Disney buying most of 21st Century Fox’s intellectual assets, it is not a done deal yet. It will take at least a year for the deal to be finalized and approved by the government and, of course, there can be roadblocks, which would disrupt immediate plans for the Marvel mutants and the First Family of comic books. Coming right out and making that statement was the safest thing for Feige to admit. The statement is a good way of letting fans know to not get their hopes up that the X-Men or the Fantastic Four will somehow turn up in the next two Avengers films. To shoehorn these new characters into carefully planned films and TV shows would be too disruptive and ruin the narrative flow. They have to be naturally introduced into the MCU because that universe is not set up for mutants and their baggage, although it will be easier with the Fantastic Four. The X-Men property is built on the premise that mutants are widely feared and disliked by normal humans. This would not gel with the MCU where for the most part, superhumans are better received. In the comic books, although both mutants and superheroes co-exist, the way they are treated does not make sense. If normal people distrust mutants because of their powers, shouldn’t they feel the same way about superheroes? Comic book events like Civil War addressed this but the dichotomy still exists. Besides the entire humans-fearing-superhumans motif has been addressed in the MCU with Inhumans as seen on Agents of S.H.I.E.L.D. and Inhumans. Last we heard both TV shows are nominally part of the MCU. Look at the bright side, the time being given to integrate the properties allows Kevin Feige and Marvel Studios to have some breathing room. They can take their time to figure out how to integrate mutants and the Fantastic Four and just as important, who to cast in the roles. Despite what some may hope, it is likely that Marvel Studios will recast the iconic roles. This is a great opportunity for the Fantastic Four who’ve had terrible casting in the Fox films, but for the X-Men this can be traumatic for fans. Also, after the slated Fox X-Men films and TV shows run their course, it would be a good idea to give the properties a decent rest so when they make their comeback, the level of interest will be intense. All we need is some patience and hope that at the very least some cryptic references about the X-Men and the Fantastic Four can be made in next year’s MCU films and beyond. As soon as I heard that Disney acquired fox, I was worried that they were going to quickly put in the X-men. I’m very glad to see that they’re not. It would be messy. They certainly should not jam in the X-Men just because of some vocal fans, even though it would be cool to see them running around the MCU. At this point they should take their time to plan out properly the integration. 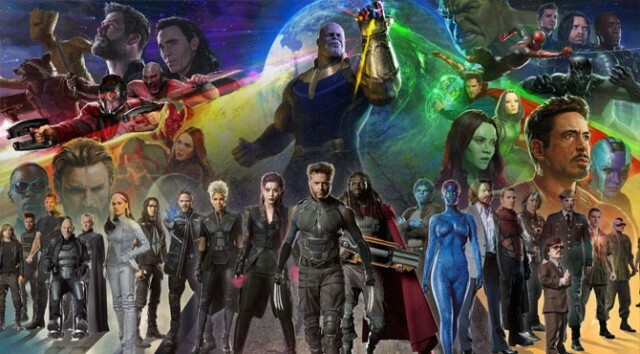 I think its a good move to take their time introducing X-Men and the FF to the wider MCU. Once the Avengers Infinity Wars are over, I suspect there will be a soft reboot of sorts for the MCU, which will lead to the integration of all the teams and individual characters. I’ve always thought a Secret Wars movie would be an ideal way to do this, would be fun to see everyone take on the Beyoder on the big screen! Secret Wars is a great venue to have all the heroes and villains together. Right now, it’s best to leave the Infinity War films as is. We just have to accept this fact and enjoy the next Avengers films. I think this is for the best at present, Fox have got numerous X-Men projects in the works and personally I’m looking forward to seeing what they have in store. 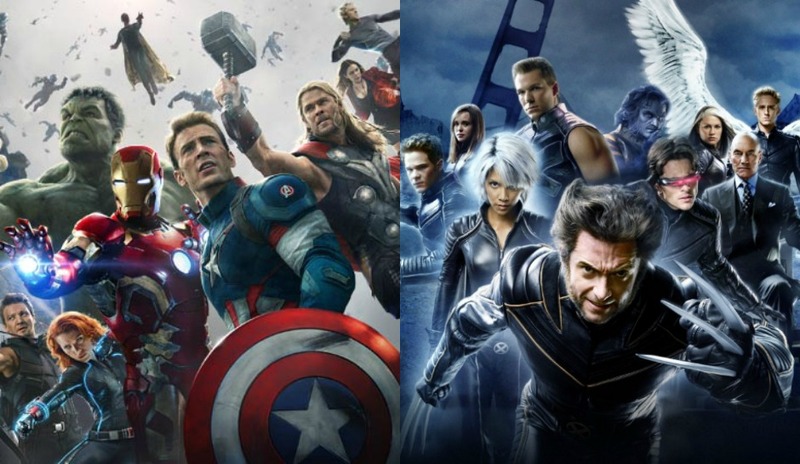 I still have mixed feelings about the Fox/MCU merging to be honest, on the one hand It’ll probably work out fine but on the other in a lot of ways I favour the tone of Fox’s X-Men films – they seem to have the right balance between drama, action and humour. The Fox X-Men films are a mixed bag for me. Some are masterpieces like Logan and DOFP but others are garbage. Still, it seems like they will run their natural course which gives Marvel time to properly reboot them. My theory has long been that the MCU will break into sub-franchises after the Infinity War. The Guardians and Thor could headline a galactic MCU, Doctor Strange could head a mystical MCU, and then Spider-Man and Black Panther could continue the Avengers. This would allow each sub-franchise to focus on their villains, but still leave open the possibility for cross-overs when the respective worlds overlap. Mostly, I think the Fox acquisition will allow the MCU to bring in better villains. Mr. Sinister is genetically enhanced and could fit into the MCU like Quicksilver and Scarlet Witch did. Dr. Doom could be an international threat and antagonist in future Black Panther films. After Thanos is defeated, the next over-arching villain the entire MCU faces could easily be Galactus. Interesting theory, it gives the characters the chance to develop independently while making them available for teamups and crossovers. This may be for the best in the long run because if the MCU gets too convoluted it will turn off casual viewers and fans. Fine by me! I like X-Men segregated. Yes, I know there was a lot of i interactions in the comics, but rather the focus alone in the films. Throwing the X-Men now into the MCU would probably make the cinematic universe too bloated and take attention away from other worthy characters that need their moment in the sun.